Few today recognize the name Martin Niemöller, though many know his famous confession. In Then They Came for Me, Matthew Hockenos traces Niemöller's evolution from a Nazi supporter to a determined opponent of Hitler, revealing him to be a more complicated figure than previously understood. Born into a traditionalist Prussian family, Niemöller welcomed Hitler's rise to power as an opportunity for national rebirth. Yet when the regime attempted to seize control of the Protestant Church, he helped lead the opposition and was soon arrested. 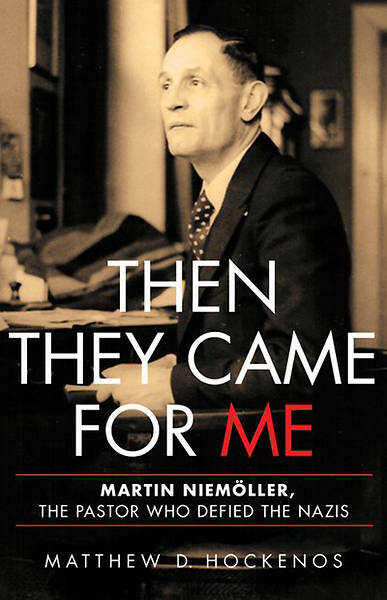 After spending the war in concentration camps, Niemöller emerged a controversial figure: to his supporters he was a modern Luther, while his critics, including President Harry Truman, saw him as an unrepentant nationalist.